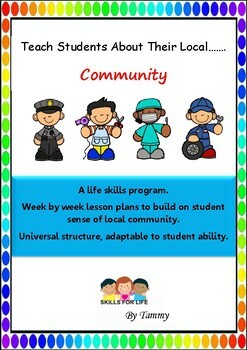 A complete week by week life skills program offering lessons to teach students about the sense of community and their place within a community. An adaptable program of 1 hour, weekly lessons, more than 10 weekly lessons available, so could be used as a term or unit of work. Adaptable to student ability. 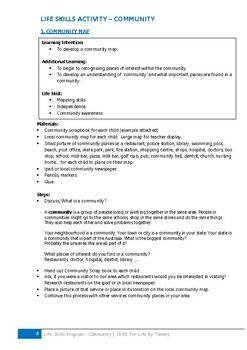 This unit explores your local community, beginning to recognize important places within a community, learning how to catch a bus to get around your community, understanding what a community is and the value of a community. 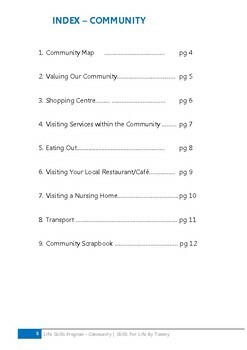 Recognize that most communities have a central shopping center and what services are found in a community. Students will visit places in their community, including nursing homes, shopping center, restaurant/cafe , vet, library and fire station.